The Trame Svelate collection arises from a collaboration between Alberto Boralevi and Daniele, which have gathered in 10 publications a selection of the most important carpets passed through the gallery. 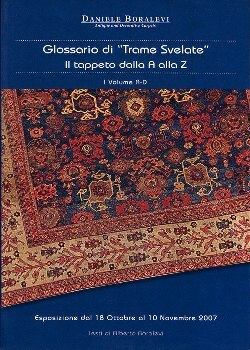 The Glossary is a work begun in 2007 which collects terms related to the world of carpet, accompanied by a rich selection of images. Currently only the first volume was published which goes from A to D.